I hope y’all are having a great week! How was Monday’s arm workout? I told you I had pumpkin recipes on my mind and here is one for you. 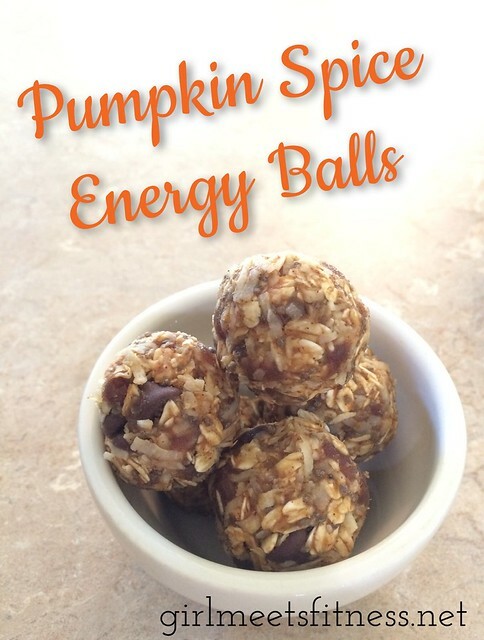 I made some pumpkin spice energy balls a while ago and am coming back to try out a new recipe. These little bites will make the perfect afternoon snack to reach for instead of hitting up the kid snacks. They also make a great pre-workout. Scrape into a bowl and mix in the last 3 ingredients. Cover and stick in the fridge for 30+ minutes. Scoop and press into balls and store in an air tight container in the fridge. My batch made about 18 balls. These are super yummy! Try them out if you’re wanting a little ball of fall to kick those sweet cravings. Do you have a favorite fall recipe I should try out?